Start off your visit on the 8th (Thu): look for all kinds of wild species at Caversham Wildlife Park, stroll through Whiteman Park, and then have fun at City Summit Indoor Rock Climbing. To find reviews, maps, ratings, and more tourist information, read our Whiteman trip maker site . Singapore, Singapore to Whiteman is an approximately 9.5-hour flight. Traveling from Singapore in August, expect Whiteman to be colder, temps between 22°C and 9°C. Finish your sightseeing early on the 8th (Thu) so you can drive to Perth. Perth is known for parks, historic sites, nature, nightlife, and museums. 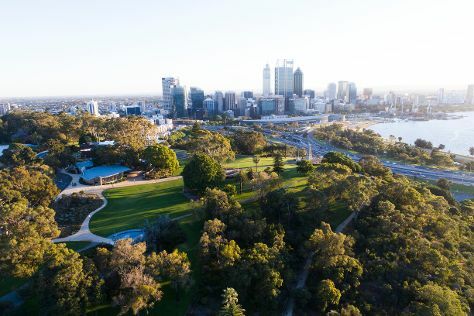 Your plan includes some of its best attractions: stroll around Kings Park & Botanic Garden, appreciate the history behind Kings Park War Memorial, explore the activities along Swan River, and indulge your taste buds at Food & Drink. To find reviews, traveler tips, maps, and more tourist information, refer to the Perth online trip maker . Perth is just a stone's throw from Whiteman. August in Perth sees daily highs of 22°C and lows of 9°C at night. Wrap up your sightseeing by early afternoon on the 11th (Sun) to allow time for travel back home.